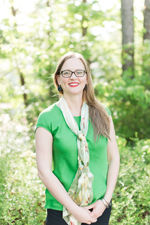 Jennifer joined NoveList in 2016 after working for ten years in adult services in public libraries -- much of which involved using NoveList and LibraryAware for readers’ advisory, displays, and bibliographies. As she’s talking about the good stuff NoveList has to offer, be sure to share your ideas. She wants to hear them! She has also served on the NCLA Marketing Committee and the NCLA Conference Planning Committee. When she’s not working, Jennifer is still immersed in books and readers. After petting cats when she gets home at night, she takes off her librarian cardigan and puts on her romance novel writer slippers. Not surprisingly, she’s particularly interested in helping librarians use NoveList to recommend books for tough genres like romance. Not one to limit herself to one genre or another, Jennifer’s reading tastes are all over the place. Of course she reads a lot of romance, but she also reads biographies and books about math -- and anything else interesting that comes her way. When she’s not reading or writing, Jennifer can be found running, playing around in the kitchen, and (if she’s lucky) skiing.